Description: This is a free clipart picture of a black and pink Valentine graphic that says I love you. 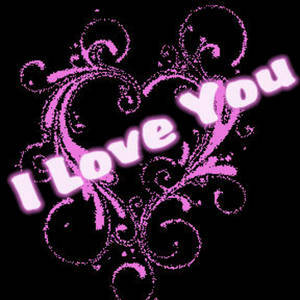 This image shows a black background, with a swirly pink heart in the middle and the words, "I Love You". It could be used for Myspace.